Mark Dekay and Susanne Bennett joined the School of Architecture and Built Environment as visiting scholars for two weeks in March. Dekay and Bennett worked with the five 2017 Integral Design Futures (IDF) project teams including around 30 of the School’s researchers and a significant number of Early Career Researchers (ECRs). Dekay’s and Bennett’s input helped formulate how IDF can inform research collaboration in practice, how the process results can be articulated as research outputs and how the real-world impacts of the research might be disseminated to the public-at-large. 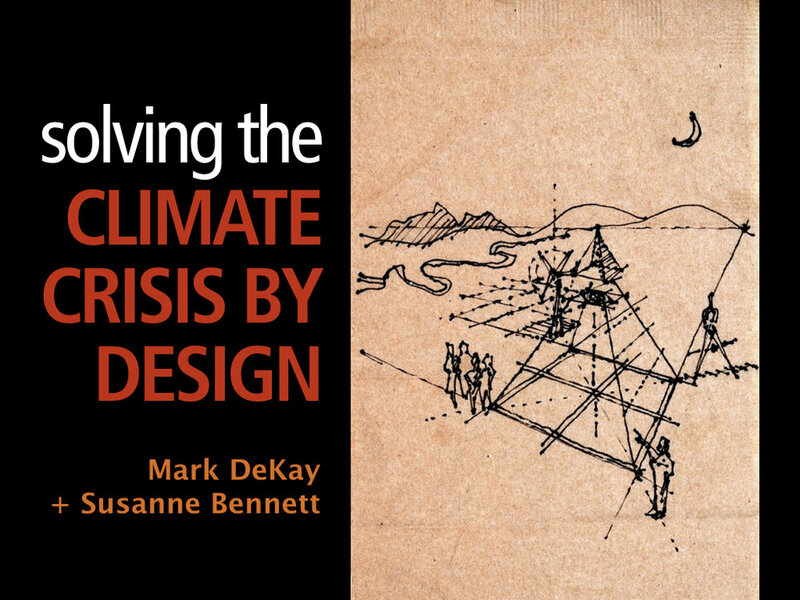 Professor Mark DeKay and Susanne Bennett, a UT volunteer, headlined Sustainable Design Week at the American University in Beirut; co-delivering a lecture entitled “Solving the Climate Crisis by Design” and leading a three-day workshop for students. The workshop, “Pulchritude, Pattern & Performance,” used DeKay’s book, Sun, Wind & Light: architectural design strategies, 3rd edition, along with a game, “Bundle-Up!” that the couple developed. Bundle-Up! is designed to help students and practitioners learn strategies at multiple scales from the book and to practice collaborative learning and designing in teams. DeKay and Bennett were joined by Martin Rauch, UNESCO Honorary Professor from Austria, an international earth construction expert, and Arturo Vittori, Italian architect and industrial designer who focuses on the "Warka Water Project." The week of workshops held October 5-7, 2016, culminated in keynote lectures which were part of the Areen Lecture Series in the Department of Architecture and Design at AUB. The theme was ”High Tech – Low Tech – Rethinking Design Tools and Strategies.” All three leaders use “high thought” solutions that express as low or appropriate technology in solutions as simple as possible. Both trained by Al Gore in presentation via the organization, Climate Reality, DeKay and Bennett addressed the rapidly changing climate, extreme weather situation, evidence of global climate change around the world and in the Middle East, the role of architecture and cities in creating greenhouse gases, and the important contribution that design can make in solving the climate crisis. According to NASA, the Middle East is in the midst of the worst drought in 900 years. They presented solutions from Sun, Wind & Light, ranging from fundamental archetypes to passive systems and high-performance envelope design to green power. DeKay and Bennett’s presentation is offered without fee; to schedule a presentation in your school or conference, contact Susanne Bennett. Prof. Dekay’s publications can be found here. A lecture by Mark DeKay and Susanne Bennett at the Deakin University School of Architecture and Built Environment, Geelong, Victoria, Australia. March 21, 2018. 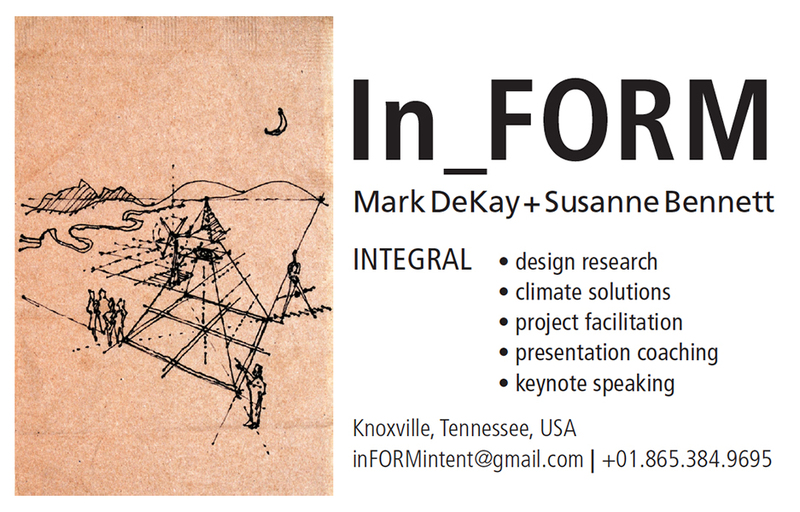 Mark DeKay gave a keynote address at the Architectural Education Forum, hosted by the School of Architecture and Planning at the University of Witwatersrand in Johannesburg, South Africa. The AEF is an African organization with members from a dozen countries that holds regular international symposia on design education. Mark’s talk, entitled “Exploring New Terrains: the Next Design School,” headlined the “Theory at All Scales” portion of the “Architectural Education @ Different Scales” symposium, which met September 3–4, 2016. 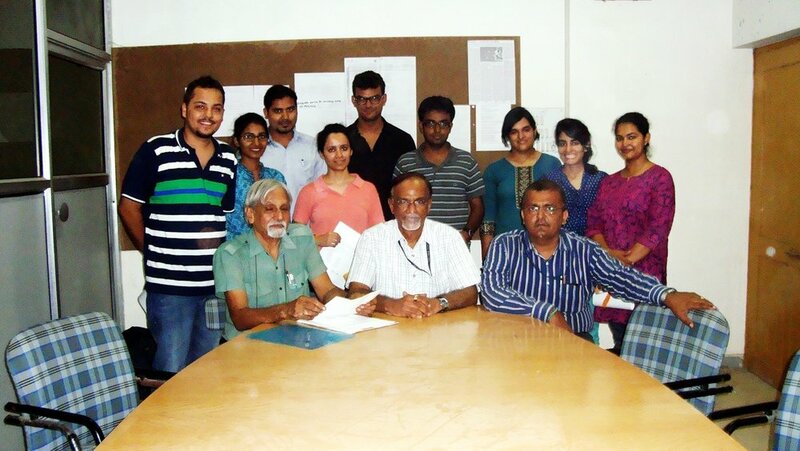 In December 2014, Mark gave an invited lecture and discussion, “Reversing Climate Change by Design,” to the school L J School of Architecture, Ahmedabad, India. In 2000, he was a Fulbright Scholar in Ahmedabad at CEPT University, so the trip, which also included presenting two papers at the PLEA conference, was a homecoming.